Pitt Laurente makes it to the semifinals. CRIZTIAN Pitt Laurente tries by his lonesome to carry the fight for Team Philippines in the 2018 AIBA Youth Women’s and Men’s World Championships. Laurente booked a berth in the medal round of the meet in Budapest after hacking out a 4-1 win over Daniyaliri Shahbakhsh in the quarterfinals of the 56 kg division (bantamweight) on Sunday at the Duna Arena. The Filipino southpaw, adjudged the ASBC Asian Junior Boxer in 2016, will be up against familiar foe Abdumalik Khalokov of Uzbekistan in the semifinals on Tuesday. Khalokov dispatched Laion Martinelli Duraes Souza of Brazil by Referee Stopped Contest (RSC) in round 2 of their quarterfinal bout. Laurente is looking to even things with his Uzbekistan opponent after being beaten earlier this year, 5-0, in the final of the ASBC Asian Confederation Youth Boxing Championships in Bangkok. 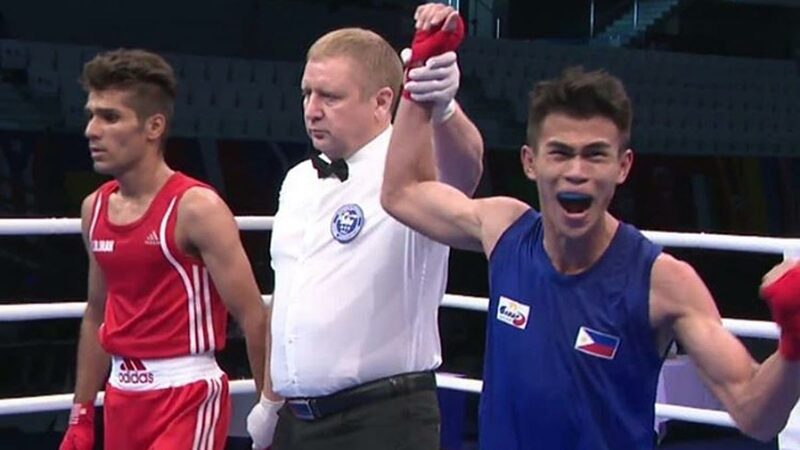 The 18-year-old Laurente from General Santos City is the only surviving member of the four-man Philippine team after brother Russo Laurente, Melinino Anduyan and Jima Beja bowed out of contention one after the other. The other semifinals match will be pitting Vsevelod Shumkov of Russia against Noppharat Thakhui of Thailand. Shumkov dominated Biibars Zhexen of Kazakhstan in the quarterfinals, 4-1, while Thakhui edged Rafayel Hakobyan of Armenia, 3-2.